LinkedIn is a great resource for business professionals, and tapping into this platform can promote your business as well as gain you valuable new contacts and potential employees! At GaggleAMP, one of our goals is to help you establish yourself in the LinkedIn network and extend your reach to those who can’t help but connect to your business and boost your profits. Unfortunately, many professionals who find prospects on LinkedIn lack the know-how when it comes to initiating that first conversation in a way that is both engaging and intriguing. Follow these simple tips and you’ll be sure that your next initial LinkedIn conversation with a prospect is a huge success! Do Your Homework. Think of this first connection like a one-sided interview. You need to do your homework. Research the prospect and any company they’re connecting with that you could be connected to. Common connections are a great way to establish credibility right off the bat. Also, know where you’re prospects from, where they’re at, and what their goals are in order to craft a thoughtful and unique message intended solely for that individual. Provide Value. By doing your homework, you’re set up to create a message that is valuable to your prospect. Find other ways to set your message apart from the others through visual aids or simple one-line, impactful statements. Prospects that command a larger audience will also receive many more messages, so you want to get your point across in a concise and captivating way. Stand Out. With waves of messages come waves of monotony, and prospects will be drawn to inquiries that stand out from the crowd. Be the rock that splits the river, and make your message both unique and interesting. You may find that humor gets your point across or that quick, impactful stories do the trick. Find what works for you, and be sure to change it up for the appropriate audiences. 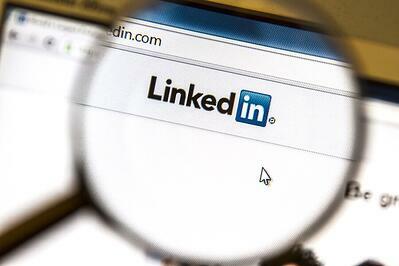 LinkedIn can be a valuable asset to your social media marketing strategy. Knowing how to initiate a conversation with a prospect that is both engaging and unique can create lasting, profitable relationships! What have you done to initiate a conversation with a prospect that you’ve found to be successful?